Todd McLellan has been hired as the new head coach of the Los Angeles Kings. 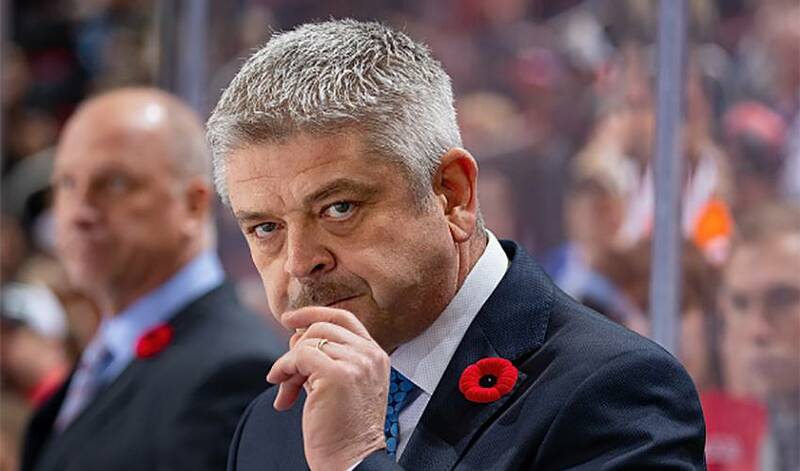 LOS ANGELES — Todd McLellan has been hired as the new head coach of the Los Angeles Kings. The Kings announced the decision Tuesday. McLellan replaces Willie Desjardins, who wasn't retained after he replaced John Stevens early in the season and presided over the Kings' slump to the NHL's second-worst record. Los Angeles finished 31-42-9 in its worst season since 2007-08. McLellan spent seven years as the coach of the San Jose Sharks, making six playoff appearances from 2009-14 in his first NHL head coaching job. He then spent nearly four seasons in charge of the Edmonton Oilers, but was fired Nov. 20 after a 9-10-1 start. McLellan has 434 career victories behind the bench. He also was a candidate for the vacancy in Buffalo. When Alec Martinez scored the Stanley Cup-winning goal five years ago, his former collegiate coach was thrilled. But he was hardly surprised. Brent Sutter remembers two distinct reactions after the Red Deer Rebels selected Dion Phaneuf in the third round of the Western Hockey League Bantam Draft. Daniel Brickley assembled with the world's greatest athletes in Salt Lake City sixteen years ago. Now 23 and a professional, Brickley recalls the experience as setting the stage for his career in hockey. A lot has changed over the last two decades in professional hockey. Through it all, there was Jarome Iginla.